Don't wait any longer to get that job done. Contact Hackman Paving Inc. today to receive a free estimate! Hackman paving has been serving Lebanon, Lancaster, Berks, Dauphin & Schuylkill counties since 1971. We are a second-generation family owned and operated company specializing in residential, commercial, agricultural & industrial paving as well as repairs to your existing paved surface. We always strive for the highest quality & best value on your project. This means applying the asphalt to the proper thickness providing you the longest lasting surface at an economical price. We concentrate on providing excellent pay and benefits for our employees so that you can have peace of mind knowing that your project is being completed by the best individuals in the industry. 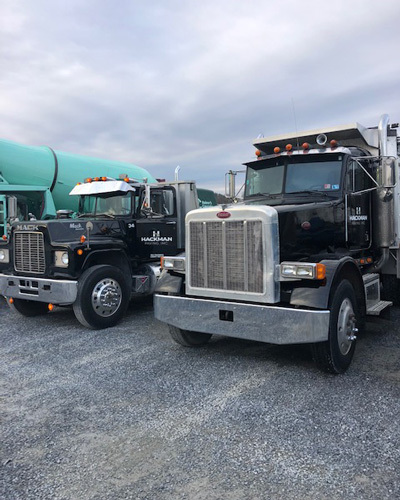 Hackman Paving, Inc. has been proudly serving Lebanon County, Cumberland County, Dauphin County, Lancaster County and Berks County since 1971. Whether you’re looking to repave your driveway, or create a walkway, Hackman Paving will strive to get the job done for you & to your satisfaction. Quality workmanship is what we can promise you. We’ll also strive to minimize disruption to your business as well as maintaining a clean jobsite.